Daan Peters is the associate director at Navigant Consulting, based in the Netherlands. He spoke to EURACTIV’s energy and environment editor, Frédéric Simon. Navigant did a study last year for the Gas for Climate industry consortium. 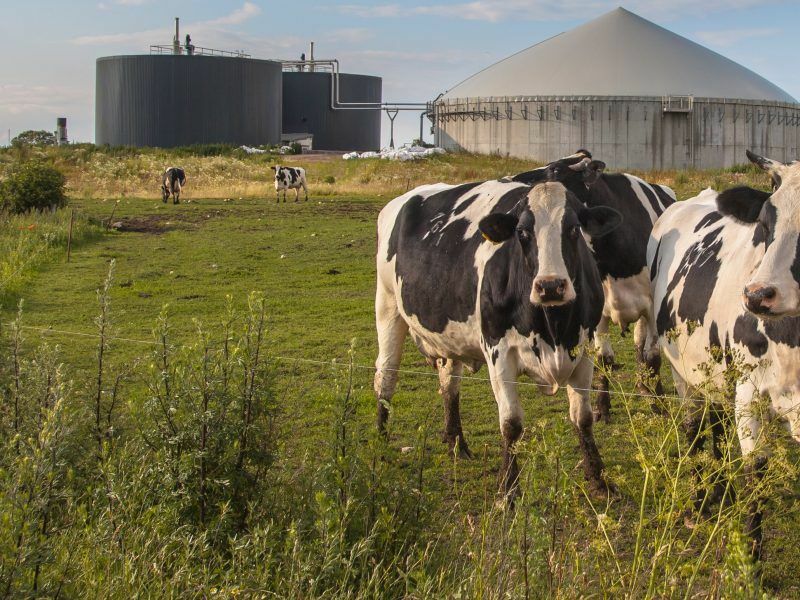 It found that biomethane and other renewable gases could be scaled up to reach 122bcm by 2050, under a high-case scenario. Today, you’re publishing an update of that study, saying the potential is 270bcm, which is more than double your previous projection. How did you come up with such different figures now? We come to this figure by analysing more extensively the scope of supply and demand for renewable gas. In the last study, we only analysed part of the energy system, focusing on electricity production and heating of buildings. Because these were the two main areas of debate about the future role of gas on the demand side. On the supply side, our previous study focused mainly on biomethane. We looked a bit at green hydrogen but only from the potential of curtailed electricity, when there is over-production of wind and solar and the electricity is basically for free. So that was quite a limited scope. In the new study, we looked at green hydrogen supply and electricity production more broadly. 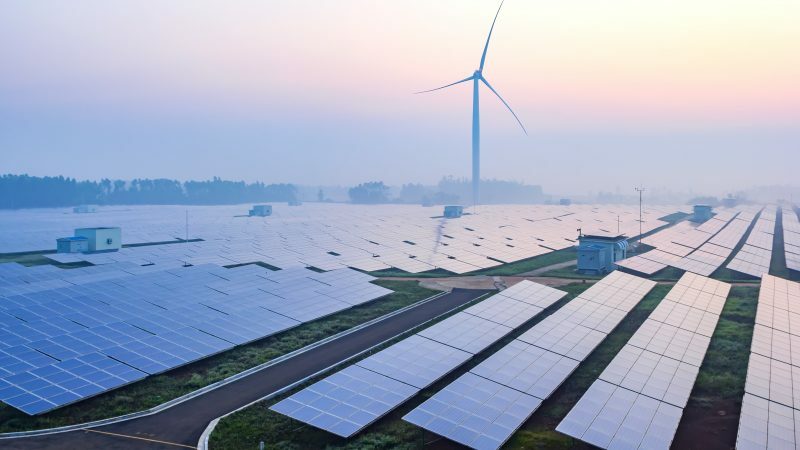 Once all the demand for direct electricity is satisfied with renewable energy, you can build additional wind turbines and solar panels specifically dedicated to producing green hydrogen. Last year, we also didn’t really look at transport and industry. Decarbonising areas like shipping is quite a daunting task because it’s a sector that needs a lot of high energy-dense fuels. And bio-LNG, as well as hydrogen can play a role in heavy transport. So our scope was wider this time, which explains the bigger figure. What is the infrastructure cost of this? Yes, there is indeed a cost related to electricity, hydrogen and methane infrastructure. What we assume, is that large scale green hydrogen production would take place relatively close to where the additional electricity is being produced. If you have a lot of offshore wind and you produce the hydrogen offshore, you can transport it to land using existing gas pipes which are being decommissioned or are no longer in use. And that minimises the total infrastructure cost. There is also a cost to retrofit the current gas infrastructure to hydrogen. Basically, in 2030, you would have two parallel infrastructures, one for methane and one for hydrogen. There is also a cost related to the retrofit of that infrastructure, which we looked into. And we found that yes, there is a cost but they are quite moderate per unit of energy. How do you come to that conclusion? The cost of adapting transmission pipes is probably lower because they can carry a lot of gas. But the cost of adapting the network on a local level – the distribution grid – is probably higher, correct? Indeed, the transmission pipes actually don’t need upgrading. All you need to do is modify the compressors that keep the gas at a certain pressure. Those need to be modified to deal with hydrogen as a high-volume gas with lower energy density. Hydrogen also typically flows faster. So every 200km, you have a compressor station that needs to be upgraded, but not so much the piping itself. For the distribution network, we assume it will be mainly biomethane going to the households. And in our setup, this is going through hybrid heat pumps in houses that have a gas connection today. This assumes that all new houses would be connected either to district heating networks or have full-electric heat pumps. The same goes for houses that are not connected to the gas grid today. But for all houses that are already connected to the gas grid, we assume they will move to hybrid heat pumps, with 60% electricity and about 40% gas to meet peak demand during the cold period of winter. And the volumes that are required for that are relatively modest, which means you could quite easily do it with green gas. Even in scenarios that see only a relatively limited potential for green gas, you could still easily satisfy demand from the European building stock with green gas. And then you don’t need to upgrade the distribution grids. Why do you assume that households will be served mainly by biomethane? Because it saves infrastructure cost, you can leave the infrastructure mostly as it is. With a certain share of biomethane in houses, you also save shave off the most extreme needs for insulation, which saves a lot of money. And this biomethane is essentially the same as natural gas from a chemical composition. 97% of it is CH4, which is the same as high calorific gas today. What you have today is often biogas with 55% methane and 45% CO2. But that can be upgraded. If you take out the CO2, it can then be used into the existing gas grids. What about volumes? What kind of demand for gas does your study assume for 2050? We have something like 220 TWh of gas in buildings, which is about 20bcm. So a little bit more than today’s production in terms of biogas. That assumes of course that a big effort is made on energy efficiency. But we also assume the great majority of energy in buildings will be met with electricity. Your study assumes the gas sector achieves net-zero emissions by 2050. So what are the implications? Does it mean there will be no more fossil gas by then? Our core scenario is 100% renewable. It includes only biomethane, a little bit of power-to-methane, and a lot of green hydrogen. So that means we have no natural gas in the European gas grid by 2050. What we do have is the option of blue hydrogen, which is produced from natural gas with carbon capture and storage (CCS). The issue with green hydrogen today is that it is still quite expensive. But what you can do quite easily is decarbonise existing hydrogen demand by applying CCS. So, you would turn so-called grey hydrogen into blue. And the next step would be to use blue hydrogen to grow demand for green hydrogen. We foresee that up to 2030, green hydrogen would be tested and piloted to bring costs down. And at a certain moment after 2030, green hydrogen would start pushing away blue hydrogen as the cost of electrolysers come down. But that requires some time to scale up all the dedicated wind and solar capacity. So we see blue hydrogen as an intermediate solution. And that of course still requires some natural gas. But either in 2050 or 2060, blue hydrogen can be fully replaced by green hydrogen, although that probably requires some political thinking as well. That probably also assumes a pretty rapid scale-up of blue hydrogen, correct? Blue hydrogen is being tested today, for example at a Vattenfall power plant in the Netherlands. 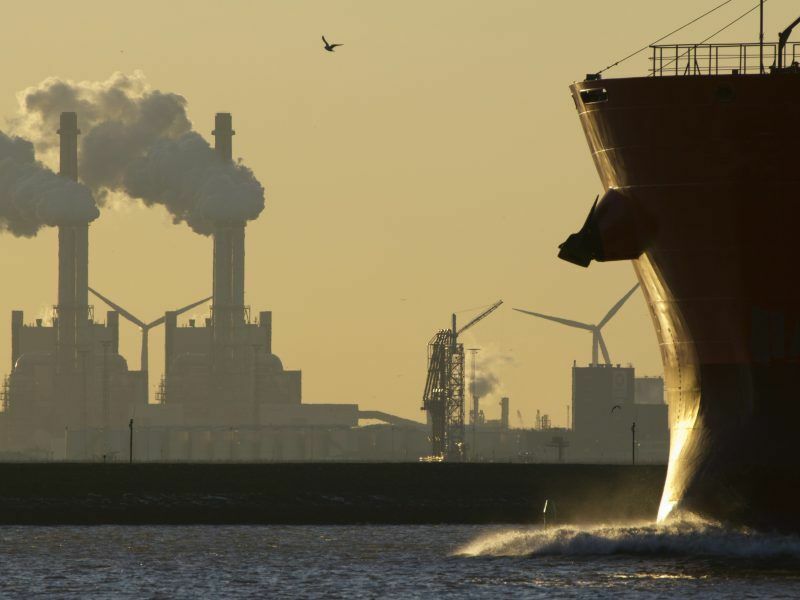 There is also a large effort in the port of Rotterdam to get started with CCS, which requires a carbon price of around €50. And that is still much cheaper than green hydrogen today, which costs about €150 per MWh. So the cost difference between blue and green hydrogen is huge. We think it makes sense to decarbonise a soon as possible. It’s all good to reach net-zero emissions in 2050 but it’s better to start with aggressive decarbonisation now because of the cumulative effect of carbon emissions. That means aggressively scaling up wind and solar as soon as you can. But at the same time, you would apply blue hydrogen to multiply decarbonisation efforts. Do you have a figure in your study about the volumes of blue hydrogen that are needed by 2030? No, we don’t have that. We have a 2050 end picture which demonstrates that 100% green hydrogen is possible, and where blue hydrogen is an intermediate step. The more you apply it, the more savings you generate. But it doesn’t really matter how big it is in the 2020s. From a carbon budget perspective, it makes sense to decarbonise as soon as possible through the various routes that are available. Does your study identify energy end-uses where gas can be phased out entirely? 25% of gas today is used in buildings. So we see that being scaled down significantly and replaced by electricity. But the energy system value of that remaining bit of gas in buildings is far greater than the value that gas creates today. So, even though the volumes will go down, the value of that small remaining volume is really large. There is also a lot of gas being used today in industry, for high-temperature needs. Industrial processes requiring temperatures below 150°C will be electrified. But anything above this requires energy-dense fuels. And gas there plays a major role. A third area is power production. Today, gas represents about 15% of the total power production. And we can foresee a slight decrease in 2050, mainly because the total amount of electricity demand will explode and because nuclear and coal power are being replaced. Wind and solar are expected to grow dramatically, hydropower too but not much. Nuclear and coal will be phased out and replaced mainly by wind and solar. So gas use in the energy system will be roughly the same as today but the share will go down. Yes. We see that not only in Germany, in France also there is a debate. In the Netherlands, nuclear is being phased out. And in the UK and Finland, we see that any new nuclear capacity is disastrous in terms of cost. So we don’t think that in the coming 30 years, it will make sense from a financial perspective to invest in new nuclear. And existing nuclear capacity is being phased out, like with coal. Also worth noting is that applying CCS to gas or coal power plants is really expensive. This is because the plants don’t run continuously, they are only active for 2 or 3,000 hours per year, to meet peak demand for electricity. What we find is that it’s much cheaper to run CCS in industry where you have 8,000+ of running hours. That’s why CCS in the past was always so expensive – because it was always tested on power. But in industry, you have much longer running hours, which means more hours to run CCS per unit of energy. Working with Challoch Energy I produced a hydrogen report in 2018. It did not make the category error mentioned in the article “,……….hydrogen but only from the potential of curtailed electricity, when there is over-production of wind and solar and the electricity is basically for free” – well yes but there is no business case because if you only use curtailed elec the eletrolysers are unable to run for long enough. I fail to understand how supposedly professional outfits can make such basic mistakes. You need high capacity factors to run electrolysers (+50%). The problem, may have been that Navigant was considering Germany – where there are all sorts of interesting “costs” bolted into electricity. Going for direct connection or private wire overcomes this. & here we go again: “green hydrogen would start pushing away blue hydrogen as the cost of electrolysers come down”. no, no, no, no……..the capital cost of the electrolysers disappears provided the capacity factor is high (40%++) at which point, the only thing that matters is: cost of electricity. Indeed, the cost of elec is the ONLY thing that matters. If I had a Euro for every time I have seen the “if the price of electrolysers comes down” meme I’d be able to go to a good restaurant. Navigant continue to dig downwards with this: ” For the distribution network, we assume it will be mainly biomethane going to the households.”…….why? when taking one example (there are others) by 2030 the UK low pressure gas network will be 100% hydrogen ready (fact) & given the French built out their LP network in the 1990s and 2000s a large lump of that is almost certainly H2 ready now. Not mentioned in the report : fuel cells (no not the SOCFC nonsense) which of course can run in two directions – offering an interesting way to store PV generated electricity (in the summer) and a way of easing pressure on the elec network in the winter. Sure, heat pumps get a mention (clearly de-rigueur when it comes to lobbying fodder) but anything outside of that… nope. “But at the same time, you would apply blue hydrogen to multiply decarbonisation efforts.” ….great idea – tell me – how is CCS going these days? – oh dear stuck in TRL6 or 7 territory? One last comment: quoting from the report…”The costs of hydrogen based on dedicated renewable electricity can come down to about €52/MWh” – that puts elec in the range €35 to €40/MWh which is potentially where we are heading. So sayibng “can come down”… implies at some point in the future – I’d suggest that we are already very close to that sort of figure now. On this happy note – I will pass over to re-update to disagree with the article or me or … whatever.. The main conclusions outlined on the first page of this 236-page report perfectly explain the issues involved, insofar as the reports I have read. 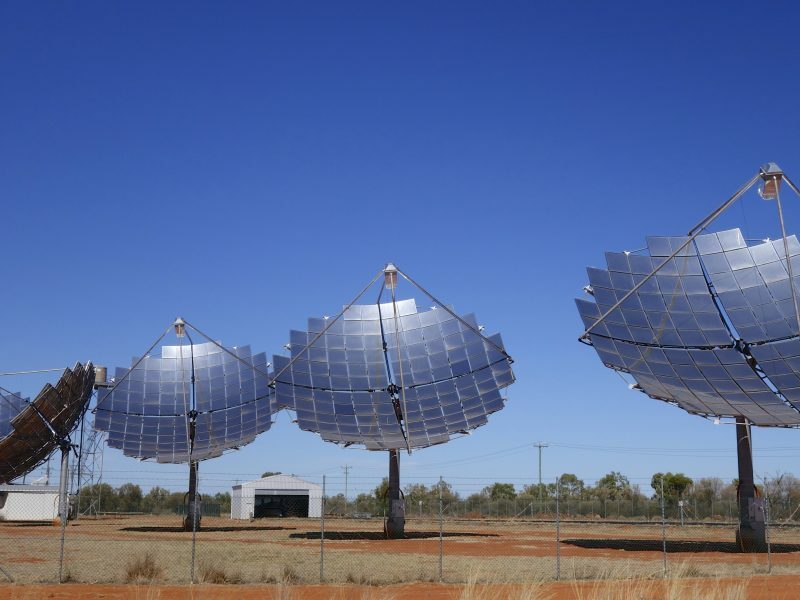 Estimations of renewable electricity availability and the cost of electrolysis have seen increased confidence that high volumes and low prices will be achieved. Firm government backing for CCS in various countries has emerged, particularly the UK where detailed reports show the feasibility of installing high-pressure hydrogen pipelines where necessary, and a relatively low cost for CO2 pipelines and offshore storage with very large capacities. 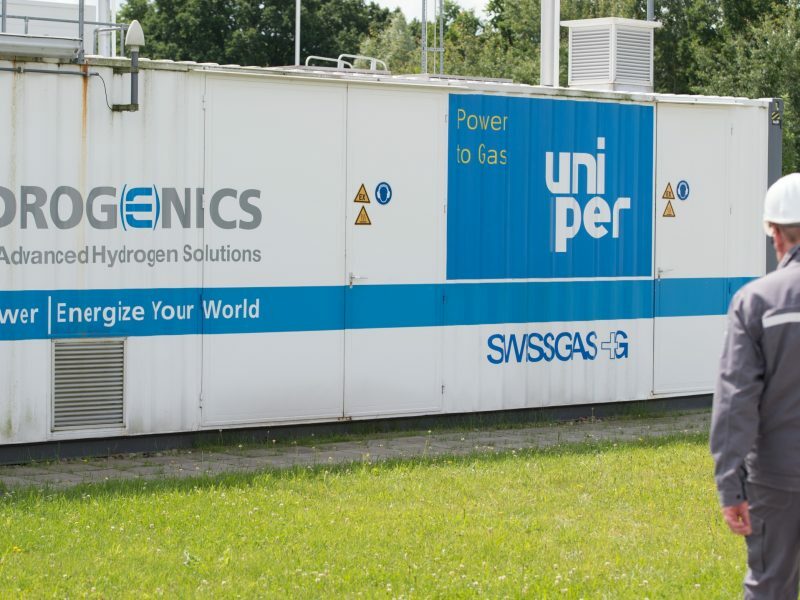 A pathway lead by industry has now been explored in considerable detail, notably by the recent World Energy Council Netherlands (‘Hydrogen – Industry as Catalyst’). This is a really thorough report and correlates with both the EU Commission and Eurelectric reports. The increase in offshore and onshore wind compared to 2014 is significant, and represents the major hurdle faced by most countries up to 2050 – this is a huge amount of new renewable electricity capacity. The report envisages a sharp reduction in nuclear, which is contentious in some cases but provides an additional safety in the case that some other component cannot be scaled within the allotted timeframe. And biomass and waste combustion are notably weighed against the additional capacity required for wind-powered electrolysis, with biomass completely absent from the ‘optimised gas’ model (either of which are central to any model charting overall electricity needs because dispatchable power is a prerequisite). In response to Frédéric Simon’s question regarding the distribution level gas grid (the residential low-pressure network), we do know that the cost for upgrading this will not be extensive. This is outlined in the costs for the H21 NoE initiative; the cost of upgrading residential pipelines is marginal (there are 100’s of thousands of km of pipeline; this would be quite a serious oversight if this was added on an unforeseen cost at a later date, and it is stated clearly in the executive summary that very limited costs are expected here) – because these pipelines have carried ‘town gas’ at 50% hydrogen and extensive tests have been carried out by both Cadent and the award-winning Northern Gas Networks who jointly wrote the report. So the figures provided by the H21 NoE report should hold. What do need to be replaced are the meter points, where the pipeline reaches the point of use and the quantity of gas is measured. There are many of these, but within the NoE report it states that given the number of gas professionals available in the UK, and the number of gas professionals needed for the change-over from town gas to methane in the 70s, there should be no problem sourcing enough workers to complete the task sequentially a few years. In fact, the cost of the transmission network (high-pressure) is counted as £3,427m whereas the distribution network is counted as £143m. Again, the cost of the ATRs is the most significant item at £8,520m. All these costs are clearly explained on page 16 of the executive summary [northerngasnetworks .co .uk/h21-noe/H21-NoE-26Nov18-v1.0.pdf]. I am still reading through the Gas for Climate report, although already the figures are interesting and the report overall looks set to be a very valuable reference guide. Its heartening because with an ambitious outlook from the major proportion of gas transport operators, there’s a sense that this is achievable. And still the report is looking for a 50% reduction in gas demand by 2050 in the ‘optimised’ projection, vs an 75% reduction in the ‘minimal gas’ version.